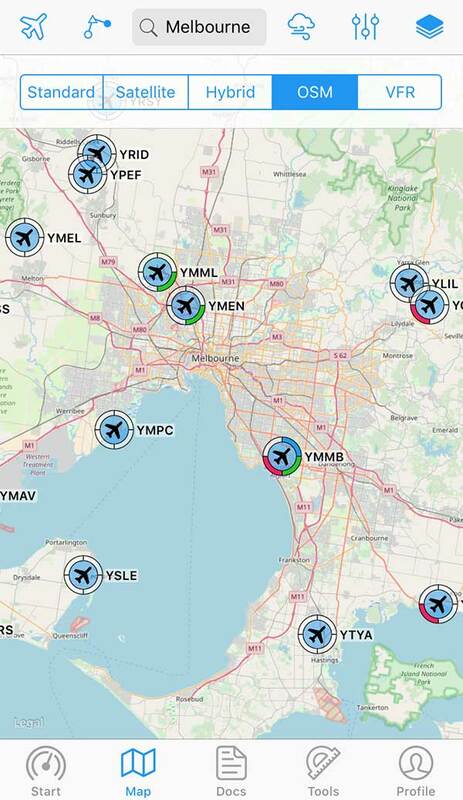 RunwayMap is a global pilot community all about the passion of flying. 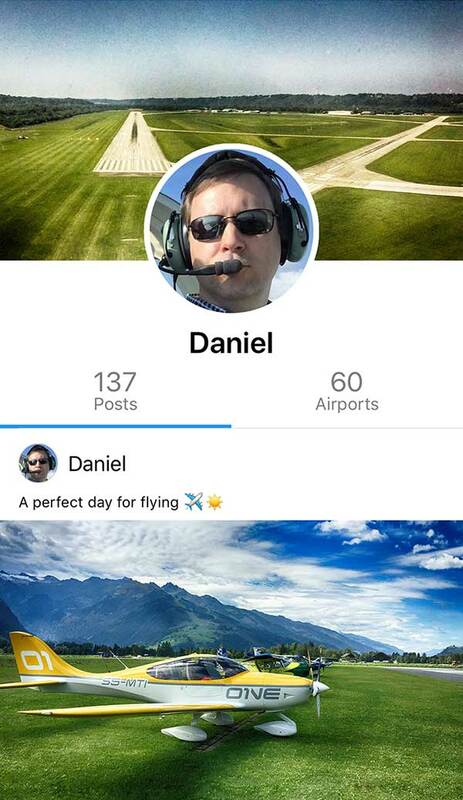 Share your flight experiences and connect with other pilots. Discover new flight destinations! 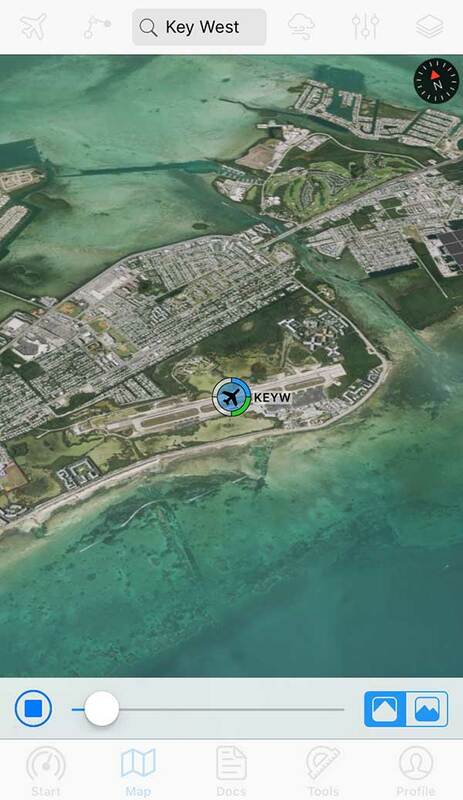 In RunwayMap, you have important information at a glance for more than 20,000 airports around the world. Free for iPhone, iPad and Android. Private pilots share their experiences on RunwayMap: Tips for an ideal approach, special features at an airfield, restaurant recommendations and more. 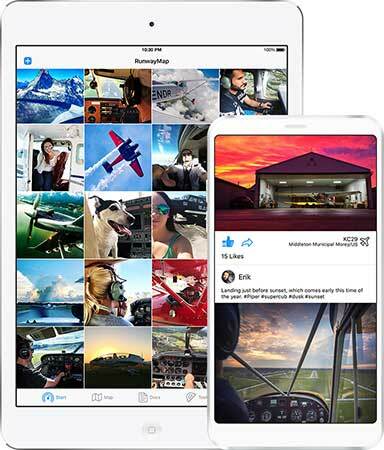 You will find flight videos, photos of trips and airport reviews. You can also share your experiences and easily post pictures, airport reviews and videos of your flights. Explore the airport surroundings with a unique 3D and satellite view. Select and save your flight ideas on the map. 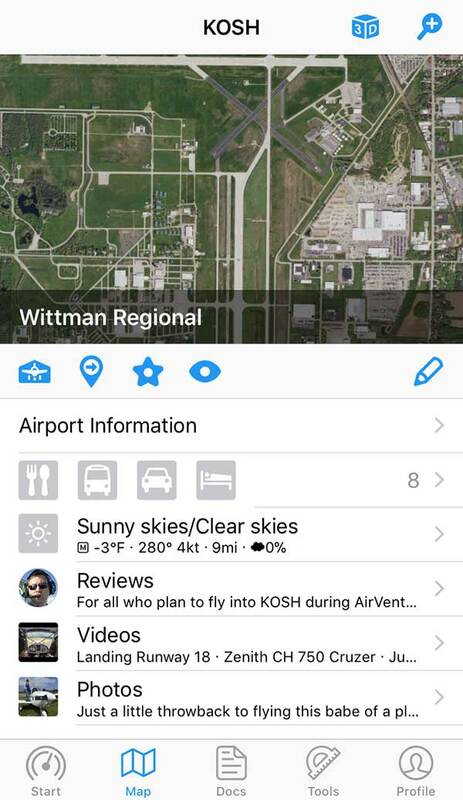 You can export the next flight destinations directly to ForeFlight or Garmin Pilot. 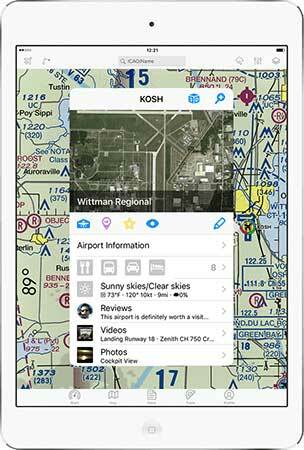 With just a few clicks, add your flight documents, such as the Jeppesen approach charts, FAA terminal procedures and airport diagrams, airway manuals or the Garmin pilot’s guide. That way you always have them close at hand. 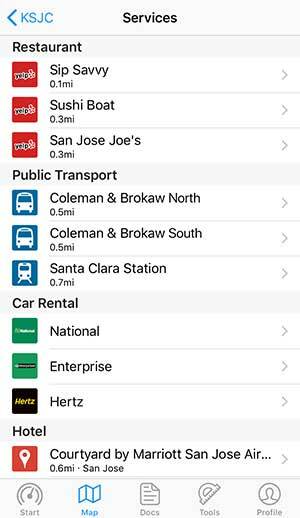 Our app is free for iPhone, iPad and Android. Still have questions? 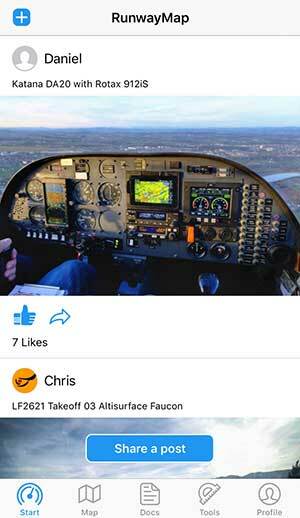 RunwayMap is a pilot community all about the passion of flying. 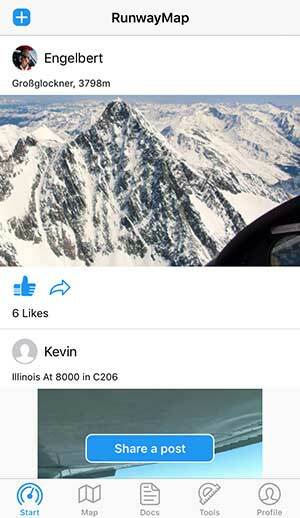 Share your flight experiences and connect with other pilots. 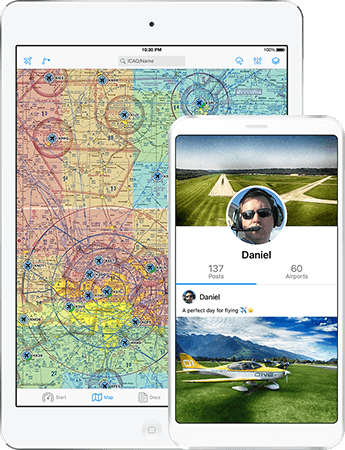 Our app has been developed by pilots for pilots and complements moving maps such as ForeFlight, Jeppesen and Garmin Pilot. Off on a new flying adventure? Let yourself be inspired! 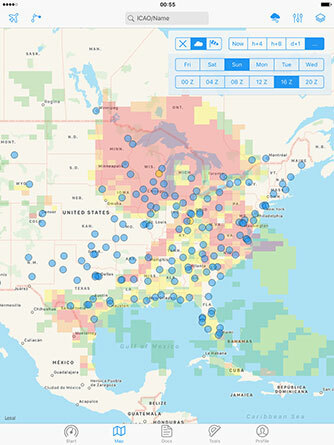 In RunwayMap, you have important airport info at a glance for more than 20,000 airports in the US, Europe, Canada, Australia, New Zealand and the Caribbean. You can search for flight destinations, get information on the airports and share your experiences and flight reports with other pilots. 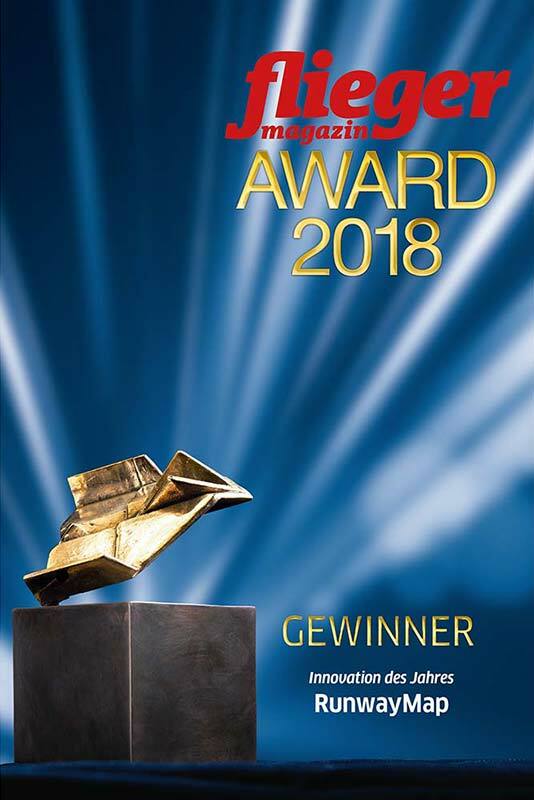 What features does RunwayMap have? 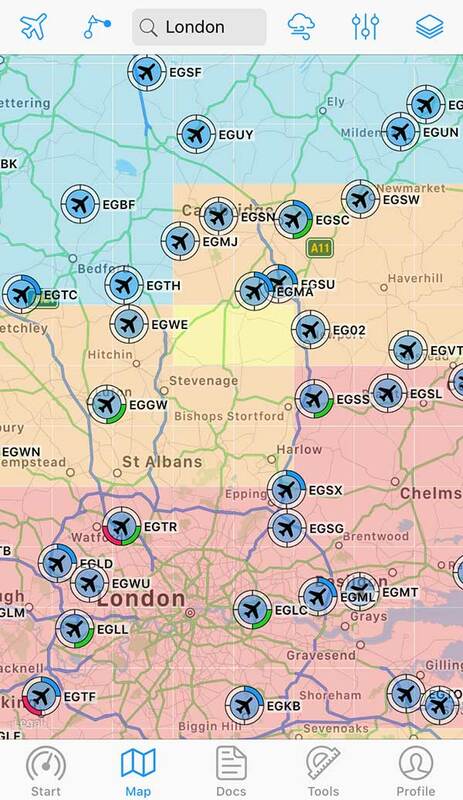 • Current aviation weather reports with METAR /TAF, visual flight conditions und wind forecasts are shown on our map. Is RunwayMap a flight planning app? 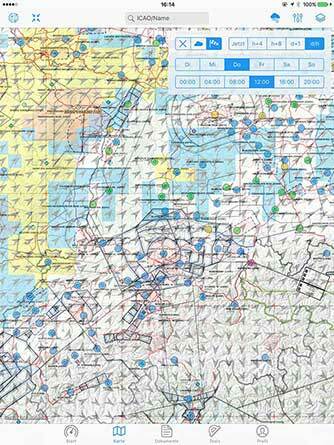 RunwayMap is not a tool for flight planning. It is an app that allows you to discover new airports and get ideas for places to fly to. 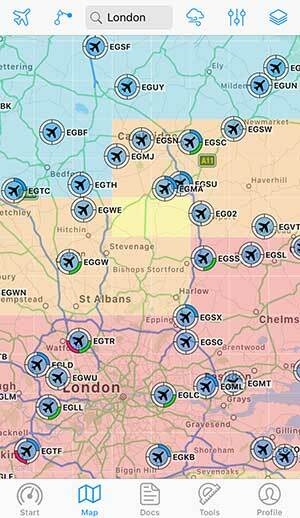 • RunwayMap is not intended to provide aeronautical information or navigation aids. 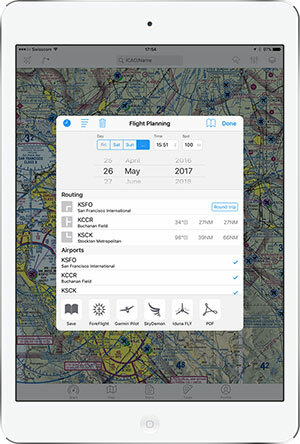 For navigation purposes, we strongly recommend using only approved and updated aviation information such as ForeFlight, Jeppesen or Garmin Pilot. 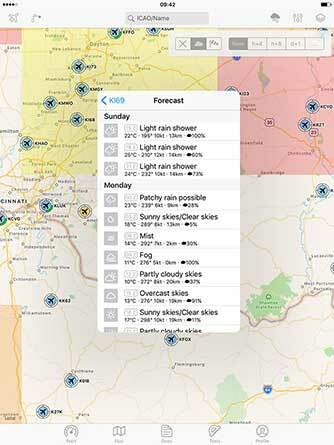 • The weather data shown in RunwayMap is only general information about possible weather development. It does not replace professional weather briefing by an official body before the flight. 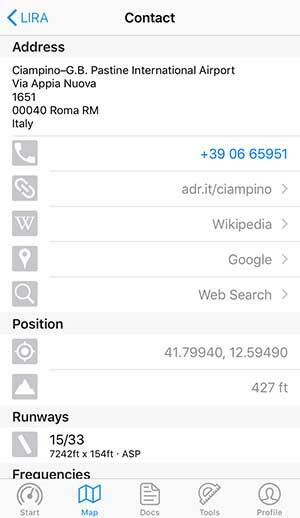 • QFE and QNH are calculated based on the current local pressure and the GPS altitude by the sensors installed in your smartphone or tablet. They may differ from the real values and should not be used for flight navigation. 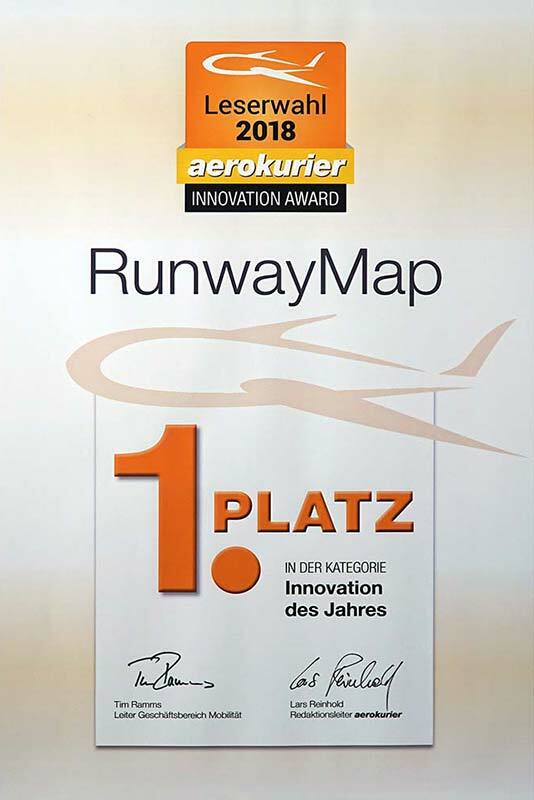 Curious about what RunwayMap can do? Just give it a try.